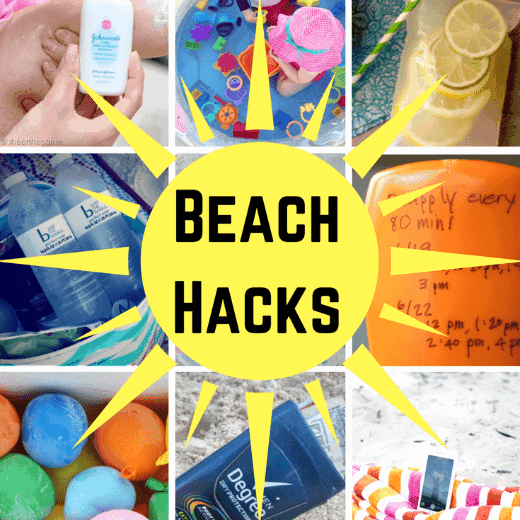 Home » DIY & Hacks » DIY » The Coolest Beach Hacks Around & Picture Ideas! We love going to the beach and we are always looking for ideas to make our time more fun and easier. 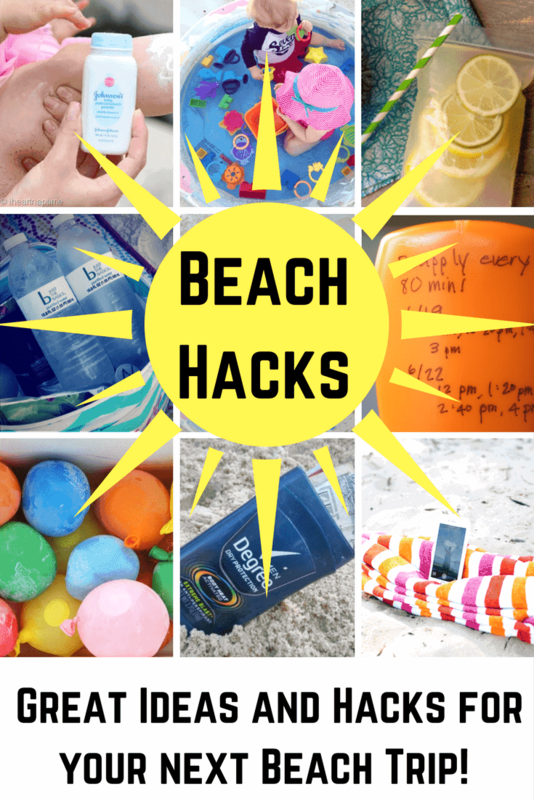 Who knew you could DIY a beach vacation, but you can! Here are some great ways to get all of that sand off of you and keep it on the beach. 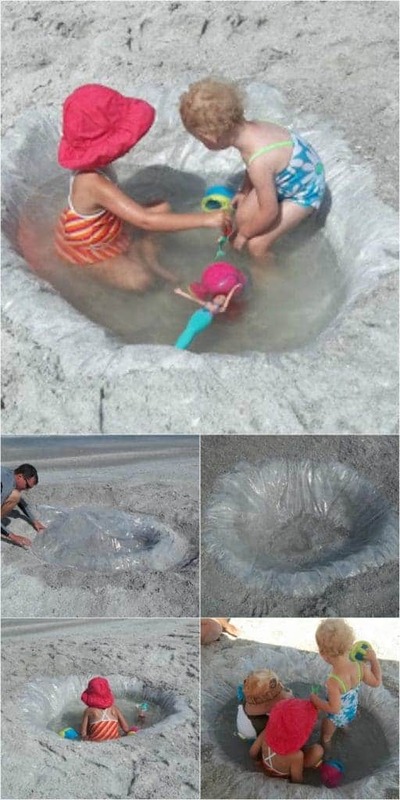 Looking for some ideas for your little one’s to enjoy the beach in a safe way? How about some ideas to keep your belongings safe while you are playing with your kids? 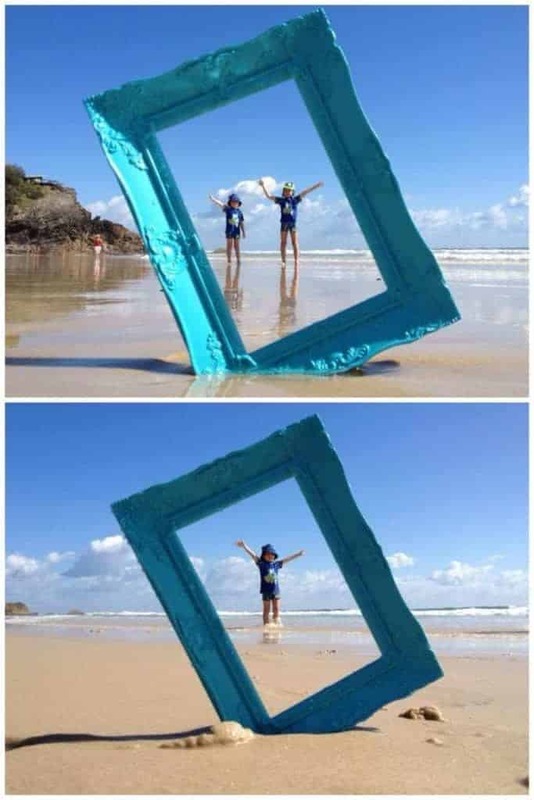 Want to take a unique family photo with your kids on the beach? We have those ideas too! Oh how I love the beach. The feeling of the sand between my toes, the gorgeous sunsets, the luxurious swims on hot summer days. It can be the best place on this earth, but we do have to face the facts, the beach can be a little tricky to maneuver and you do have to make advance preparations before you go. If you have kids, this can increase what you really need to bring to the beach ten fold. While my kids are a little older, I will never forget the overwhelming feeling of getting ready to have a peaceful time at the beach… it was actually downright difficult. Today I want to share some of my favorite and most-pinned tips from across the world wide web. I promise they will make your trip to the beach a little easier and leave you with more time for fun! 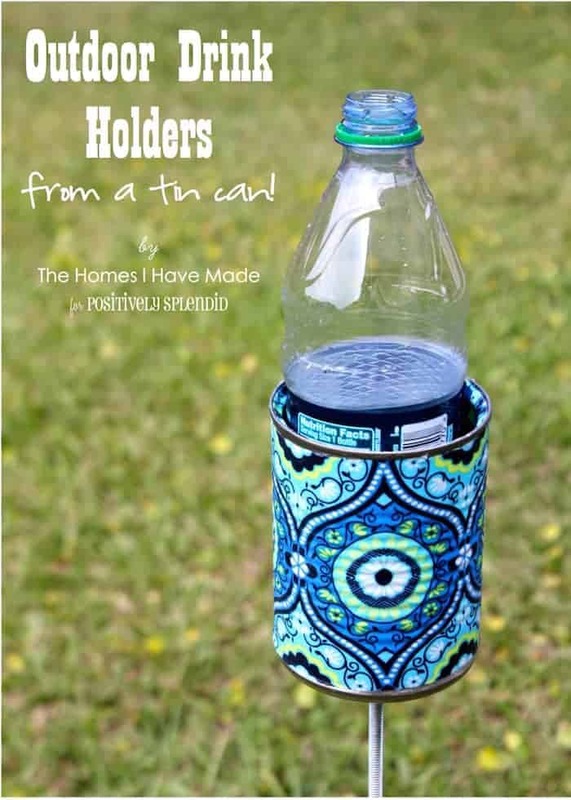 I can’t get over how fun this idea is for keeping your cooler nice and cool. Brit & Co. Shared how they actually fill water balloons with water and freeze them overnight. 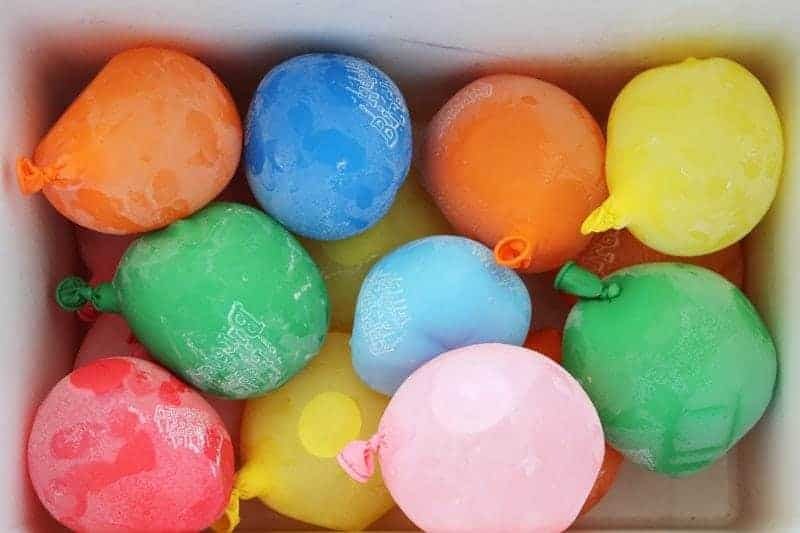 Not only do they keep your food and drinks nice and chilly, but after they melt you can have a water balloon fight. Now that my friends is twice the fun and would also look adorable at a summer party, too! This is just plain smart. Princess Pinky Girl’s smart and easy way to save you from having to replace your mobile phone when it either get dropped in the ocean or gets sand in it. 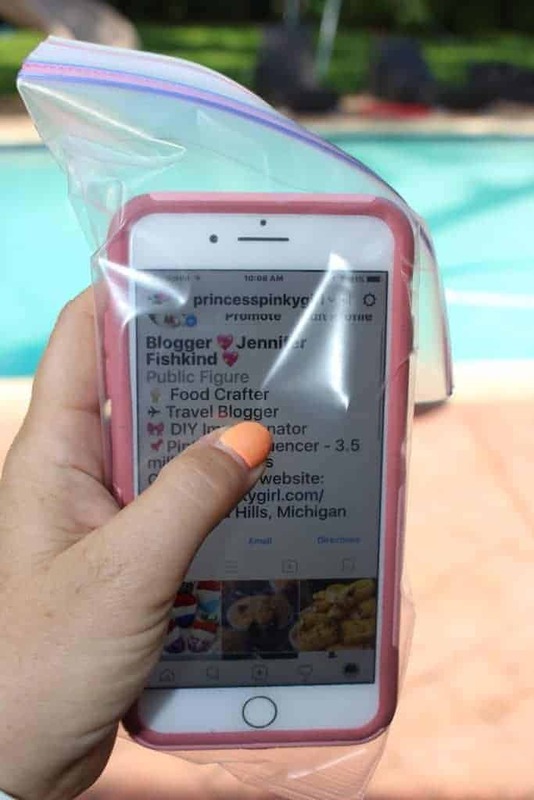 Cheaper than a waterproof case and you can still see your messages! She Knows knows a thing or two about how to have some fun at the beach and save a few dollars here and there. Have you ever heard a woman saying she needs a mommy juice box? This is totally a mommy juice box. You can make this with vodka, lemons and a few other ingredients that you’ll find in the post. You can also make a non-alcoholic version for the kids and skip the capri suns all-together. My favorite thing is that you can freeze these guys for a delicious slushie or just to keep your other food and drinks cold. Score! This one is so smart! 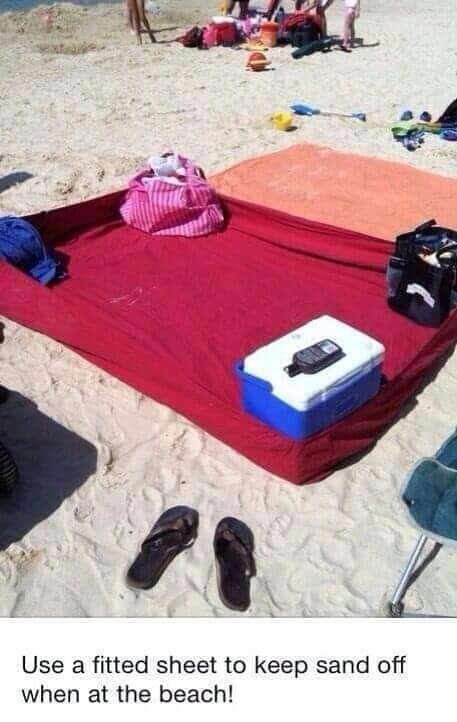 Use a fitted sheet to create “sides” and limit the amount of sand that is kicked on to the sheet! 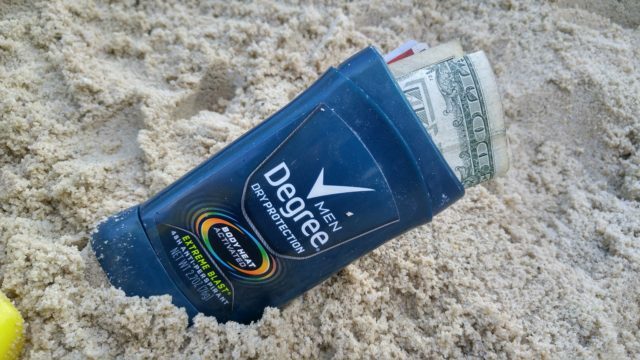 Thanks to Reddit for showing us this great beach tip! Have you heard of the baby powder trick? I Heart Naptime shows us how to use baby powder to prevent sand sticking to your skin. This is one smart idea, especially for the little ones in your life. My babies hated having sand on them and this would have been such a blessing! I’d love to hear if any of you have tried it before and if it works. Got a sunburn? 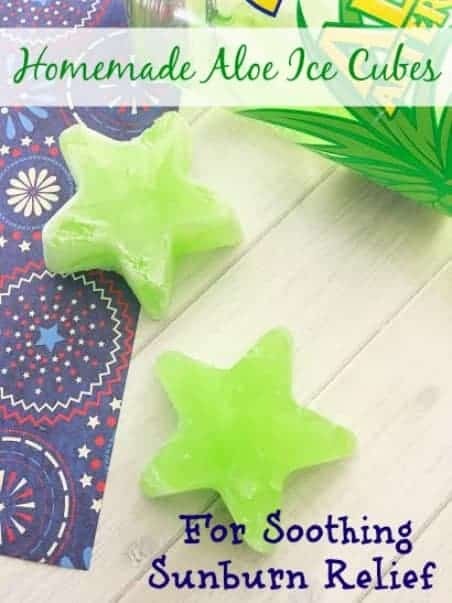 These Homemade Aloe Ice Cubes from Masshole Mommy, will soothe that angry burn and hopefully provide some relief! 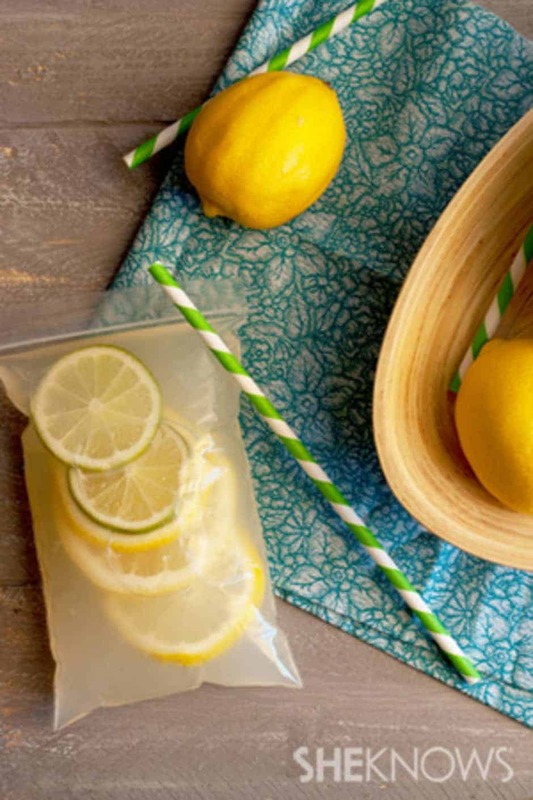 Passion for Savings gave us this simple tip about how she freezes water bottles to keep her cooler cool. This is a very similar concept to the balloons, but you’ll have some really nice, cool water to sip on throughout the day. One quick tip for you. 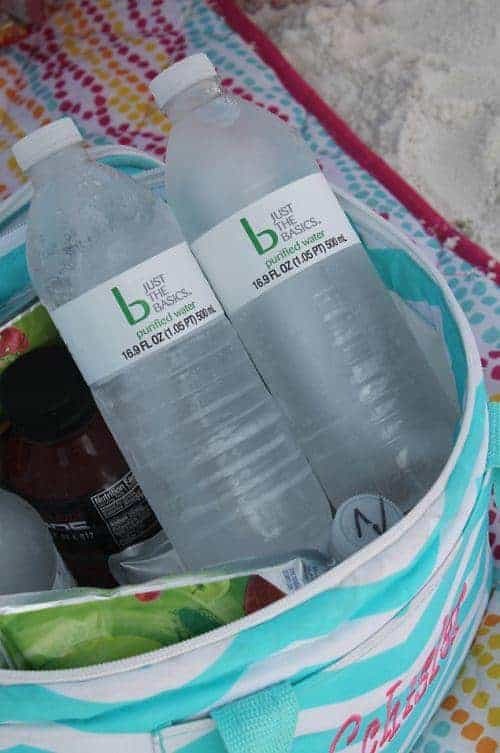 When you freeze the bottles, I normally pour out a tiny bit and loosen the water bottle cap so the water has a little room to expand as it freezes. Oh my goodness… this is so one of those why didn’t I think of that moments. Yesterday on Tuesday brings along a sharpie to the beach and marks when they apply sunscreen on the bottle. So super smart…. I never remember how long it has been and this has bitten us a few times and there is nothing worse than a sunburn while on vacation. 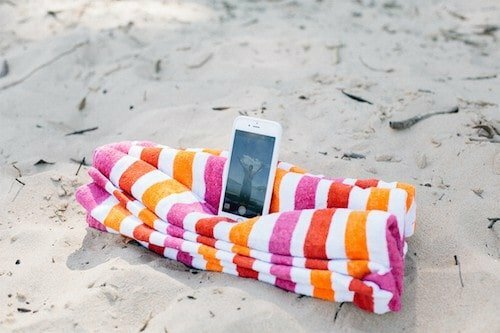 Adventures in Familyhood has a fantastic idea about how to keep your valuables safe while you are on the beach. When you finish a stick of deodorant. Empty it out and use the bottle for your money, keys and anything else you don’t want taken. I have a feeling that thieves really don’t take the time to steal a bottle of deodorant. Another hack that I am totally going to do! Do you ever find your self wishing you had a selfie stick or a way to prop up your phone while on the beach? Smart School House shows us how to roll a towel to do just that. 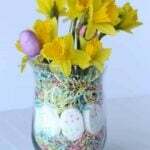 Another easy and super smart idea! Sometimes I really want to get a picture of something and my hands are so sandy. This and a timer work great! 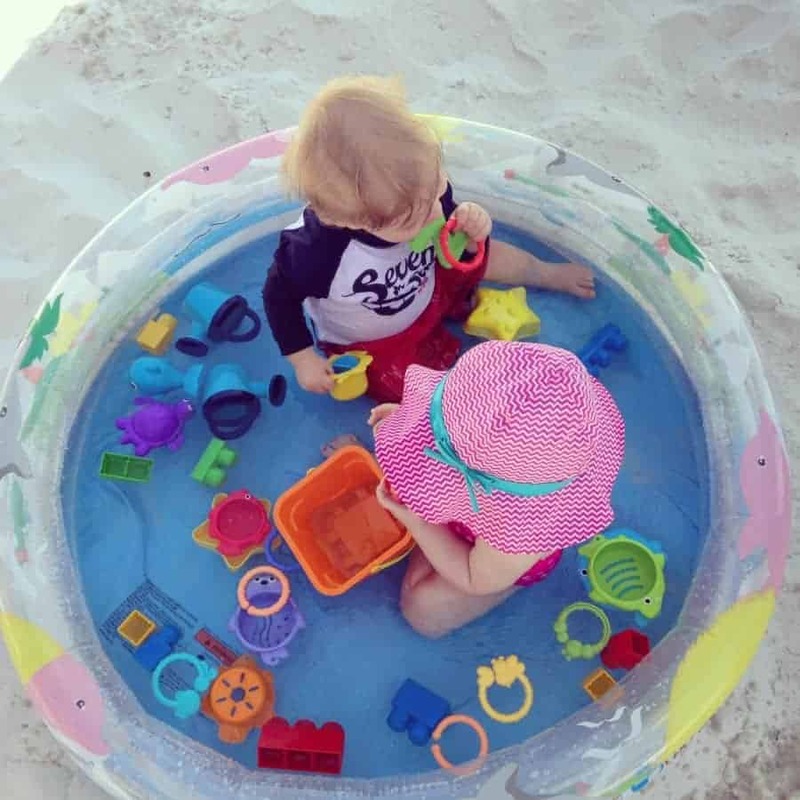 Baton Rouge Moms has shared the smartest idea for keeping a baby happy on a sandy beach… a kiddie pool. 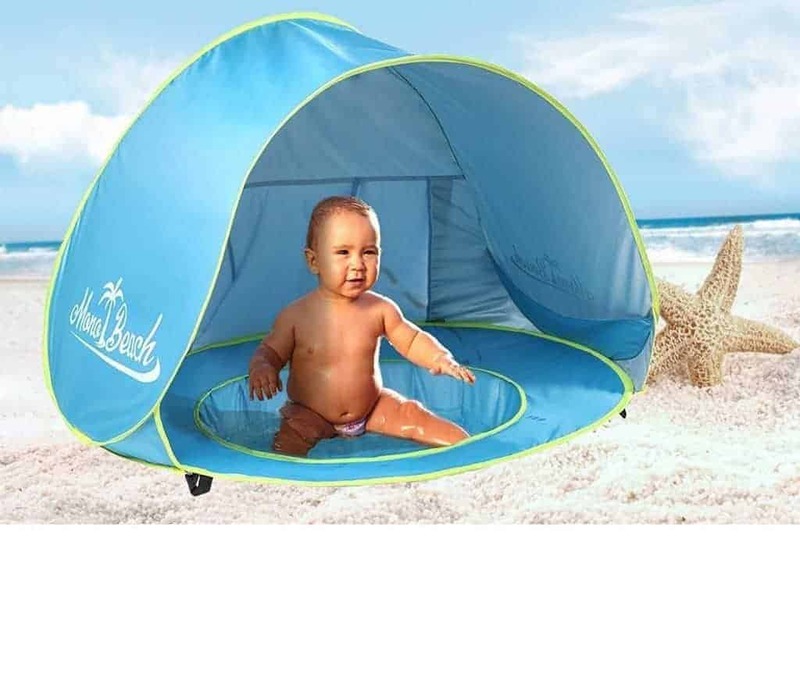 For just a few dollars, you can keep your little one in one place, keep the sand away and quite possibly enjoy a few moments basking in the sun, reading a book, or just watching the waves roll in. 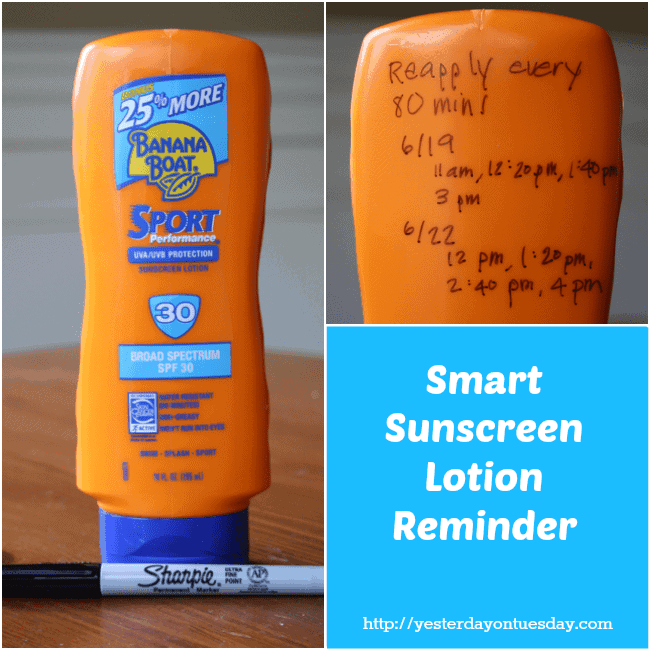 Do your kids dislike having sunscreen applied? You are not alone, I can promise you! 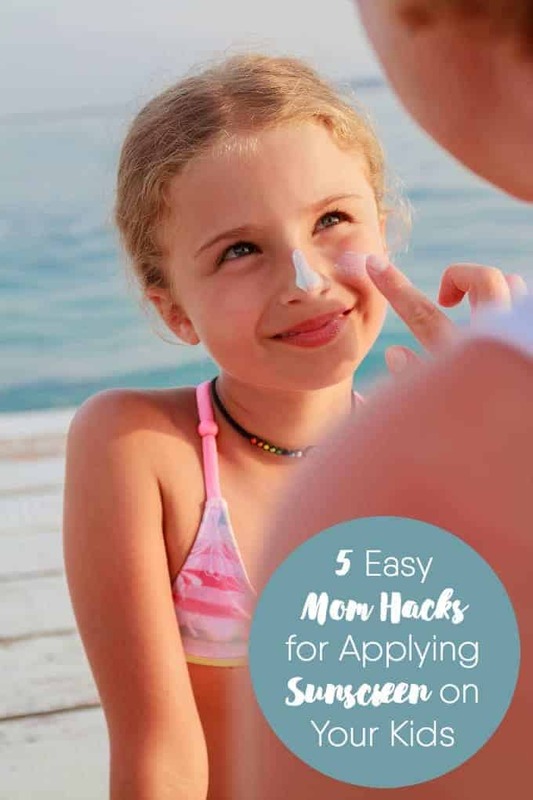 Simply Stacie has shared some of the greatest ideas for keeping them calm and entertained while you make sure they are protected from the harmful rays of the sun. These are totally worth a good look! 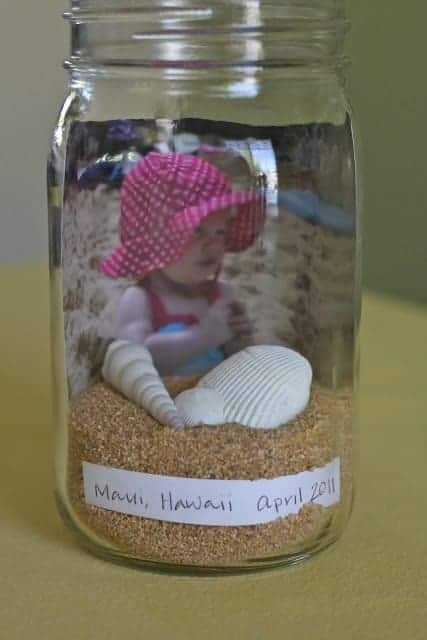 The Country Chic Cottage has shared the cutest idea for how to preserve those beach memories after you come home. Just be sure to bring a bag or jar to collect your sand and shells. This would make for a gorgeous collection. 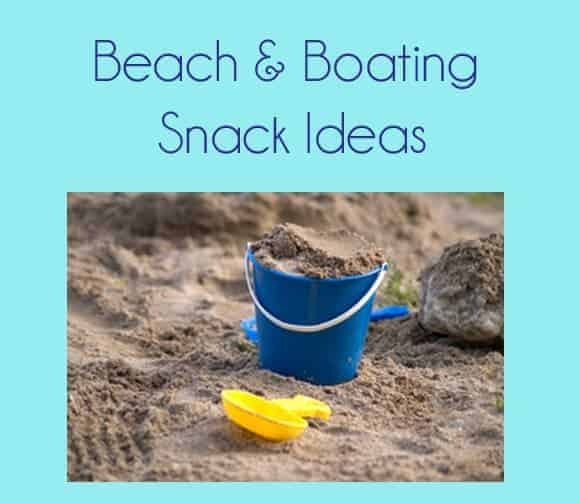 These are some great ideas for what to snack on while at the beach or on the boat. Second Chance to Dream Be sure to check out these ideas so you know what to pack in your cooler for your next excursion. 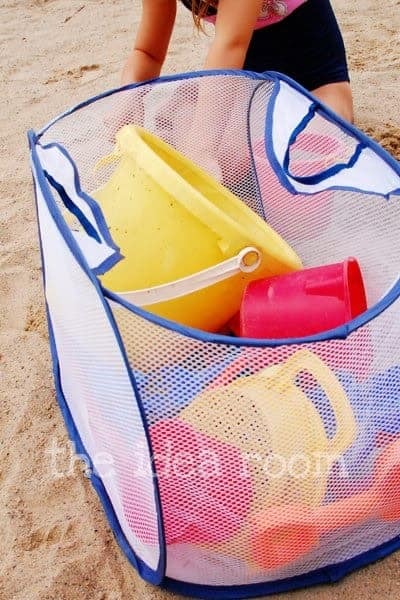 The Idea Room has this great idea to store your beach toys in a collapsable mesh bag. You can use the beach showers to rinse the whole bag down with the toys in it and leave the sand where it belongs…at the beach! I adore this idea so much. Bring a ziplock bag with you to the beach and grab a couple handfuls of sand. 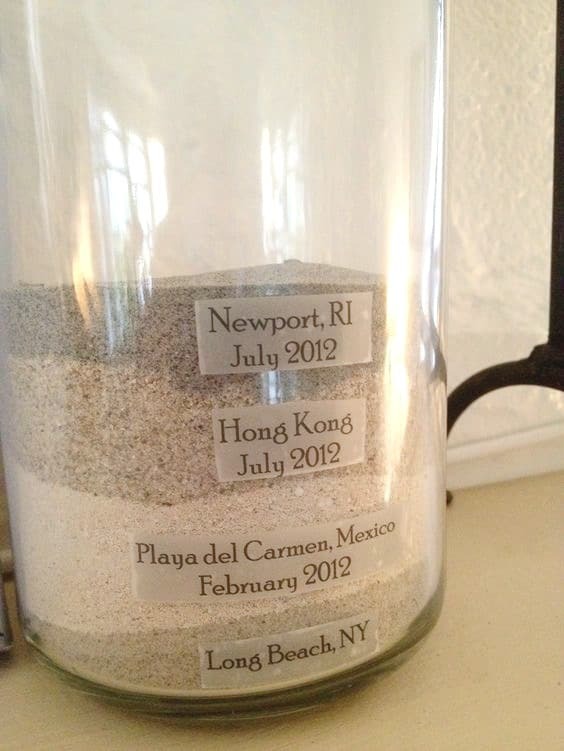 When you get home, grab a cool oversized mason jar or vase to layer the sand and label it with the place and year of your vacation. These flip flops are totally awesome! They are all custom made and will imprint whatever message you choose in the sand! This is perfect for a beach wedding, family reunion, spring break or just a fun vacation! 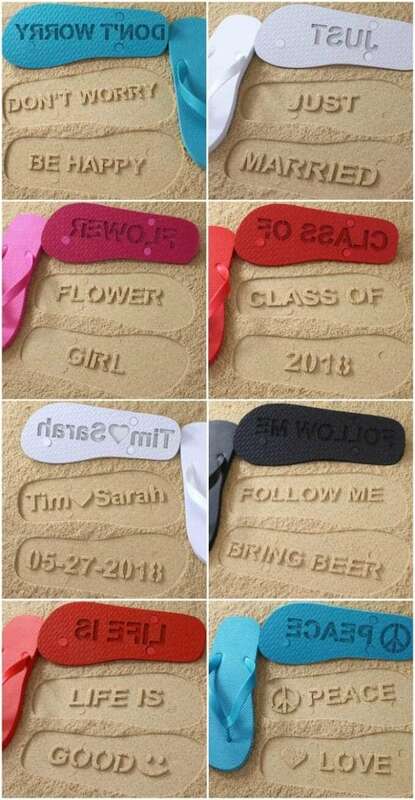 Find them here to get your own message personalized on flip flops! 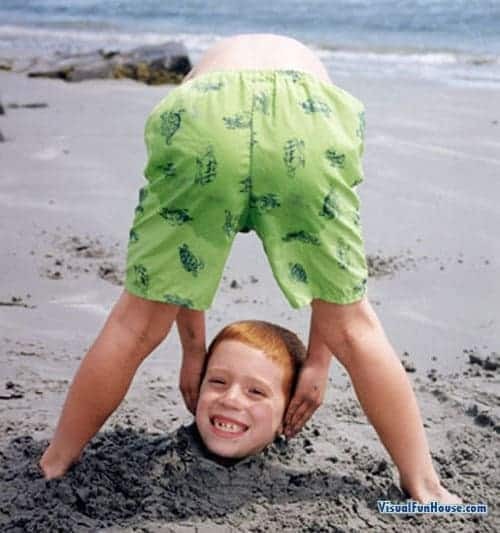 How about some fun beach vacation picture ideas to take while at the beach! 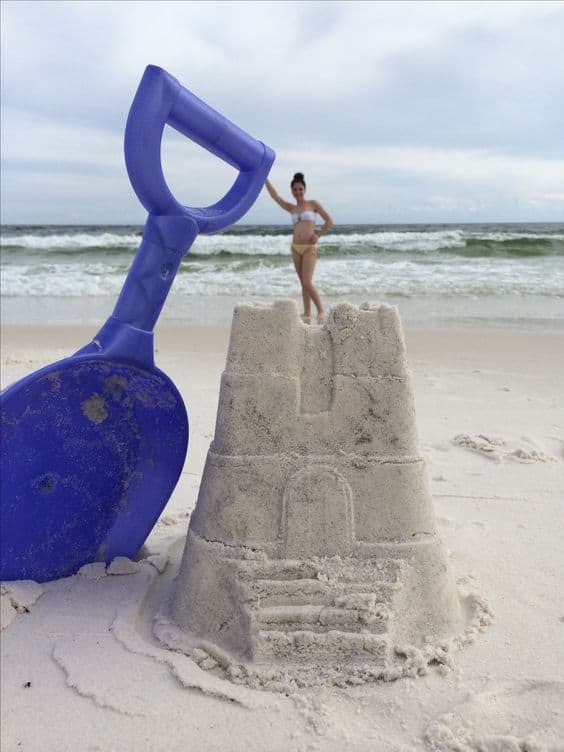 Are you going on a vacation to the beach, or just an outting – try recreating this super creative Beach Vacation Pictures! They are so much fun and take “family pictures” to a whole new level!! 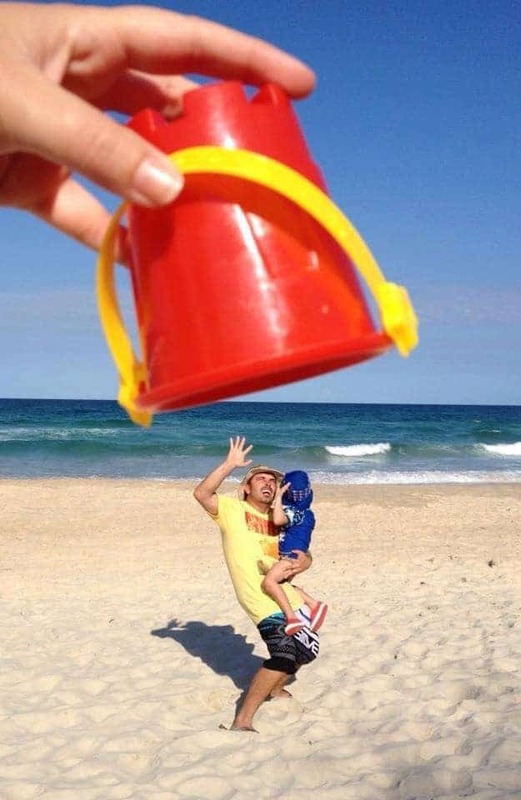 Best beach pictures ever! Now I just need to find someone who will let me bury them in the sand! Found here! Sandwriting is one of my favorite pictures to take on a beach vacation! 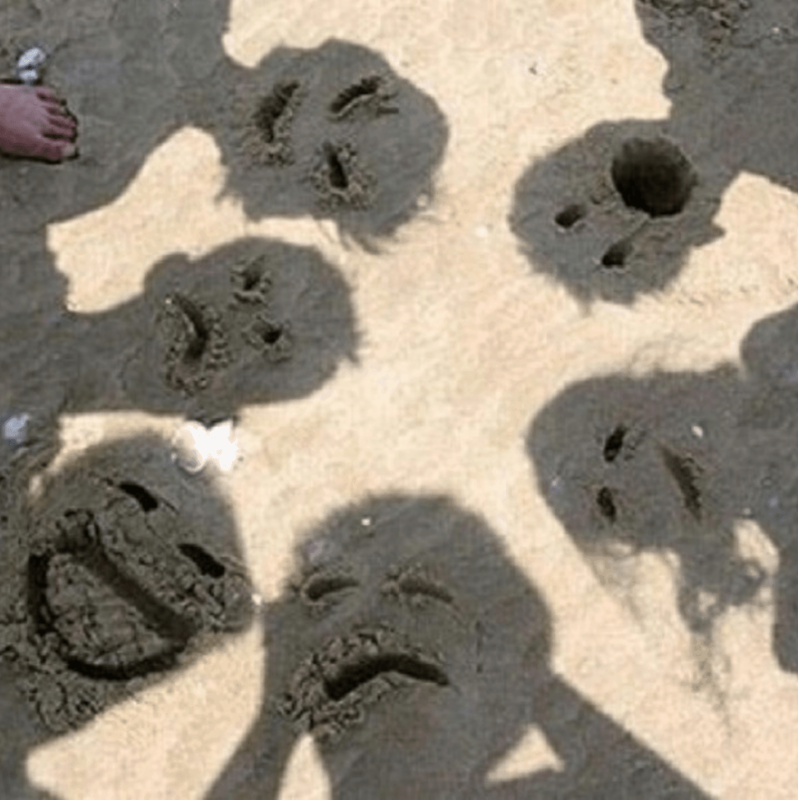 Check out some of these creative Sandwriting ideas from Mixbook! Also from Mixbook – I love this idea for a beach picture frame photo! 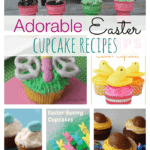 So many fun ideas – the possibilities are endless! These ides are brilliant. Thanks fr sharing. We use the baby powder all the time to remove sand. It works great.. I also read some more about hackers, i feel into some bad ones but some guys, gave me a promise and they let me pay only when they finished my job. I will confess that they did a nice job with the Improve in my CREDIT SCORE and PASSWORD retrieval i gave them to handle for me . I promised them i will make a positive to them . Lots of good ideas. Wish I had known them 45 years ago. When I am making sandwiches for the beach I write on the ziplock bag each name, then ask them one at a time what they want. I write it on the bag, use it as my assembly guide. And then there are no fights over “who ate my sandwich?”! Please do NOT bury some one in the sand. It can be deadly! I was thinking the same thing! How dangerous and the picture is hideous. If a big wave comes in the poor kid is trapped in the sand and could be killed. Sorry to be a party pooper but please use some common sense. Also popping water balloons on the beach? What a nice way to introduce toxic plastic fragments into the ocean for the fish to choke on. Some cute ideas here but some really dumb ones too. I agree. No balloons – plastics are killing our oceans, people!! And please don’t bring a shower curtain liner to the beach and “just pitch it.” Better option: reusable tarp. More money upfront, but longer-lasting, way more uses and much better for our rapidly deteriorating environment. Have used the baby powder idea for years. I don’t put it on at the beginning of the day because assuming they will be in and out of both the water and the sand, it will wash off. That being said when we get back to the car at the end of the day I use it liberally and it takes off all the sand before everyone gets back in the car! this is the way we have been looking for now. Indoor S’Mores – Easy to make and no heat needed!